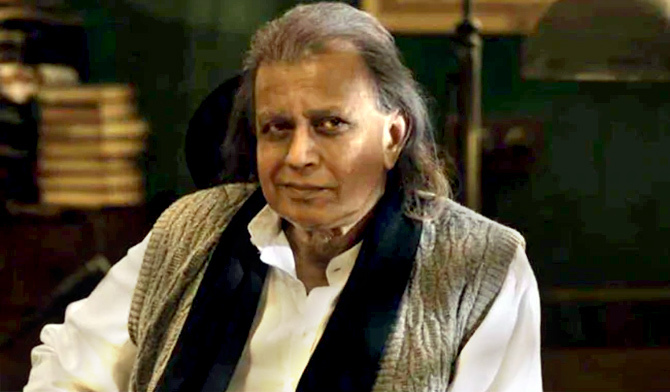 The writers have smartly targeted several politicians without mentioning them, says Ramesh S.
The '70s era witnessed films like Aandhi, Kissa Kursi Ka and Nasbandi, which found inspiration in the country's then political scenario. They managed to get their point across without directly referencing any political party or political leader. Now, though, filmmakers are daringly attempting movies that have direct references to riots, the Partition, war, the armed forces and political conspiracies. The Tashkent Files is one such film. It looks at the questions surrounding the sudden death of India's second prime minister, Lal Bahadur Shashtri. The protagonist is a young political journalist, Ragini Phule (Shweta Basu Prasad). Inspired by a anonymous call and armed with basic facts about Shastri's death, Ragini writes several articles in her newspaper. 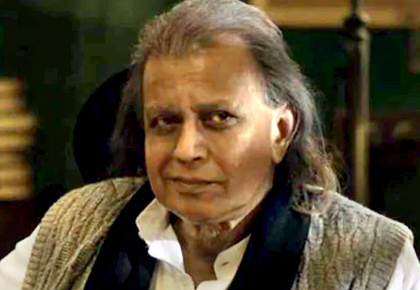 The impact this creates forces the government to form a committee headed by Opposition leader Shyam Sunder Tripathi (Mithun Chakraborty). The committee is charged with investigating if Shastri's death was the result of foul play. The screenplay -- clearly, some research has gone into it -- is deftly woven and blends fact with fiction. The Tashkent Files' usage of real footage, including political statements, newspaper headlines, letters, books and articles lends it a feeling of authenticity. The second half of the film reveals several lesser known details, which come as a shocking eye-opener. But, to reach the second half, one has to wade through the lethargic first half. The debate and discussion that take place in the committee meetings are engaging as well as intriguing; it brings back memories of Basu Chatterjee's Ek Ruka Hua Faisla. Some of the solo scenes by Pankaj Tripathi, Pallavi Joshi, Mithun Chakraborty and Shweta Basu Prasad are outstanding. Sadly, their impact is diluted by the sidetrack involving Shweta, which seems both forced and unnecessary. The director should have waited for the finale to present his trump card. The film has other drawbacks as well. The writers have smartly targeted several politicians without mentioning them. Strangely, they also contradict their own theories by claiming they are not authentic. As a result, the film moves from the realm of political theory to social media rumour. The Tashkent Files forcibly brings in the current political scenario in a manner that is highly irritating. One-line points are stretched to the point of breaking. Instead, the makers should have reduced the film's running time. The actors, who are fantastic in some scenes, ham horribly in others. While there is no scope for songs in the film, the background music is, at times, is jarring. Along with Shastri, one will find mentions of Homi Bhabha, Netaji Subhash Chandra Bose, the Emergency period, the cold war and other political events. The dialogues are hard-hitting at times. Mithun Chakraborty, Shweta Basu Prasad and Pankaj Tripathi are superb in their parts. Mandira Bedi and Pallavi Joshi lend good support. Rajesh Sharma, Prakash Belwade and others are fine. But Naseeruddin Shah and Vinay Pathak fail to make an impact. The Tashkent Files is not meant for those looking for escapist fare; however, those looking for content-driven, hard-hitting films will enjoy the movie. Like Ananya, Tara, Tiger's look in SOTY 2? Bollywood celebrates World Sibling Day! How to beat the heat, Bollywood style!